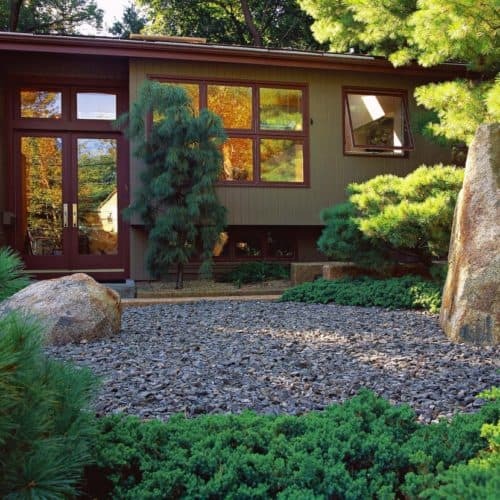 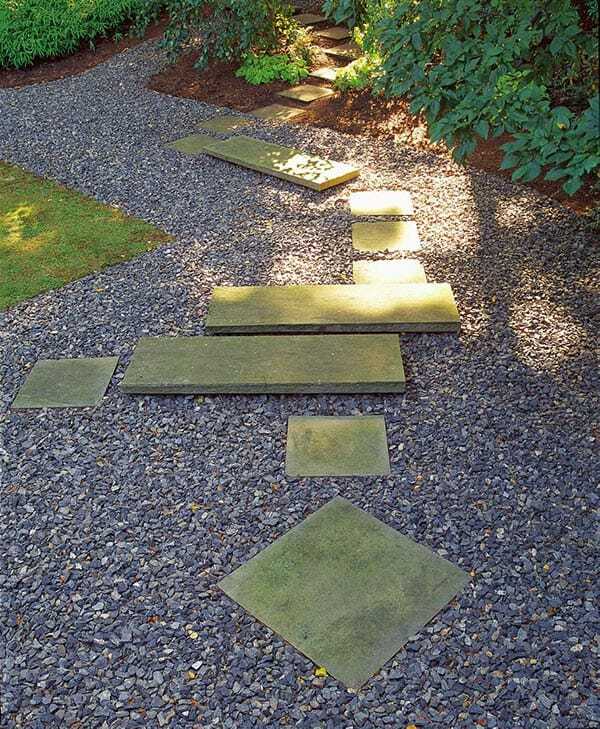 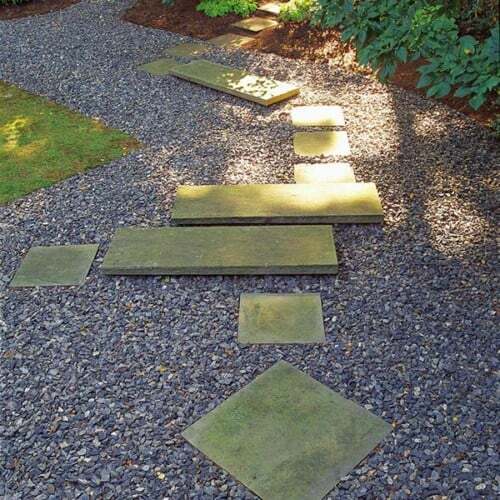 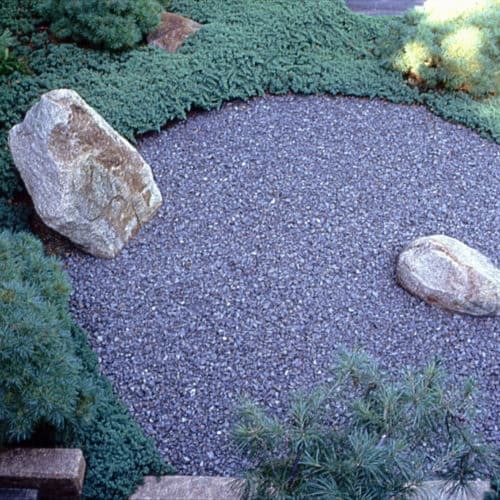 JMMDS designed a landscape journey that encircles the house made of a simple palette of bluestone squares and oblongs that travel over gravel, grass, and plantings to end up at a little teahouse on a hill. 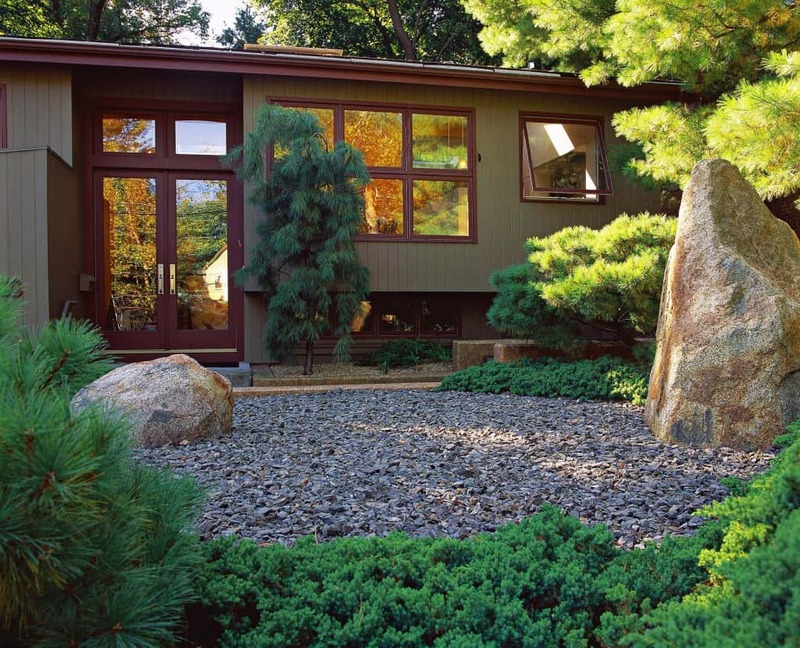 A former raised ranch turned glassy, open structure with views from front to back looks out onto a geometric Japanese garden. 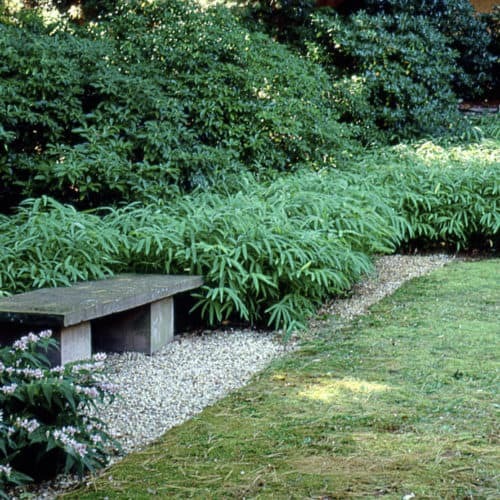 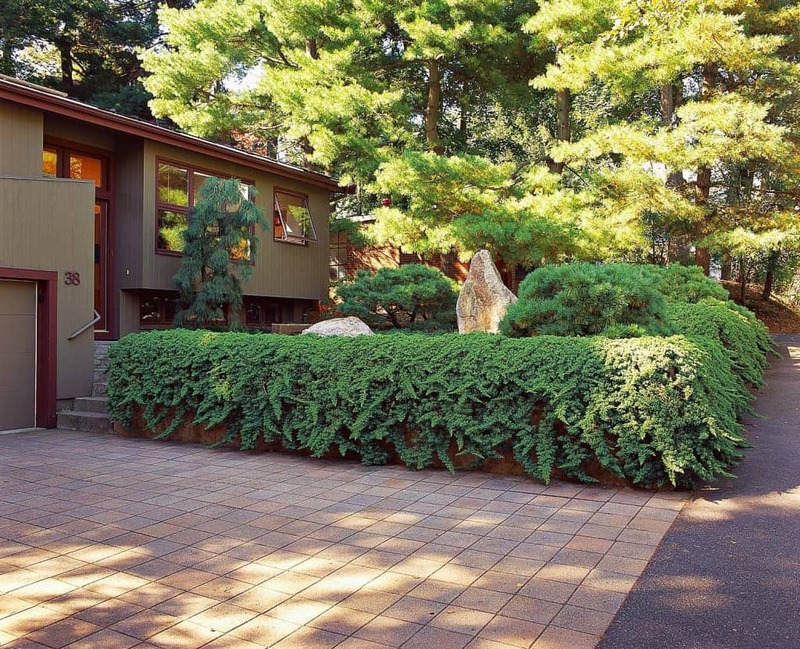 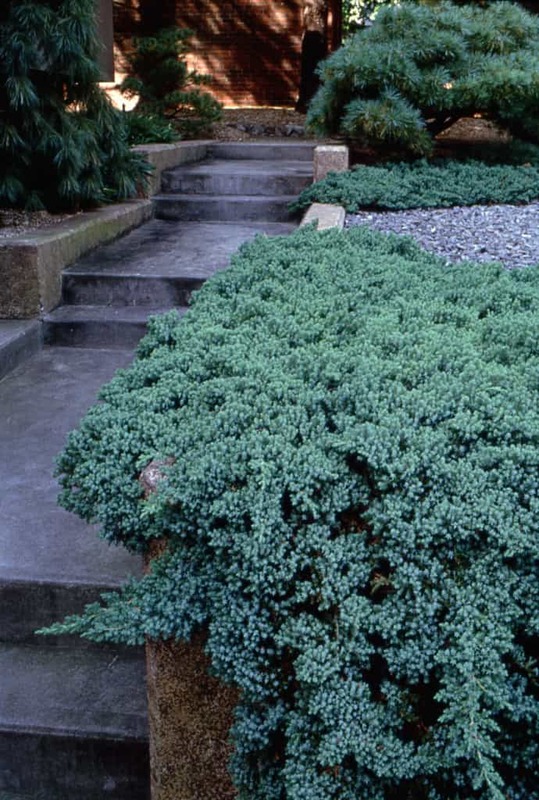 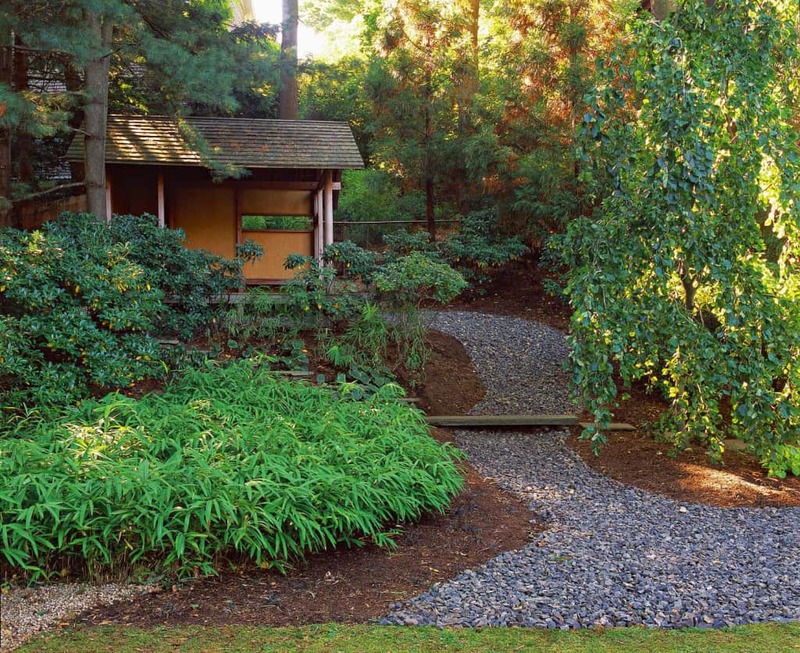 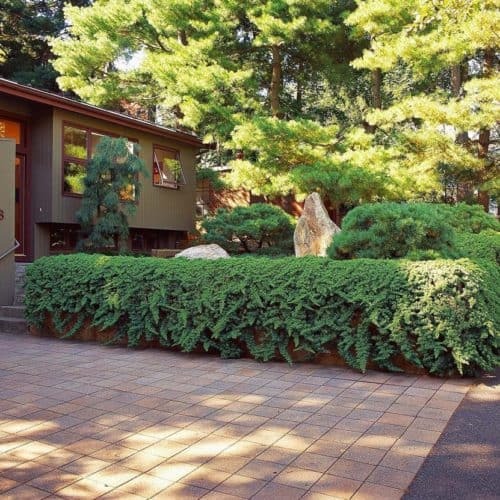 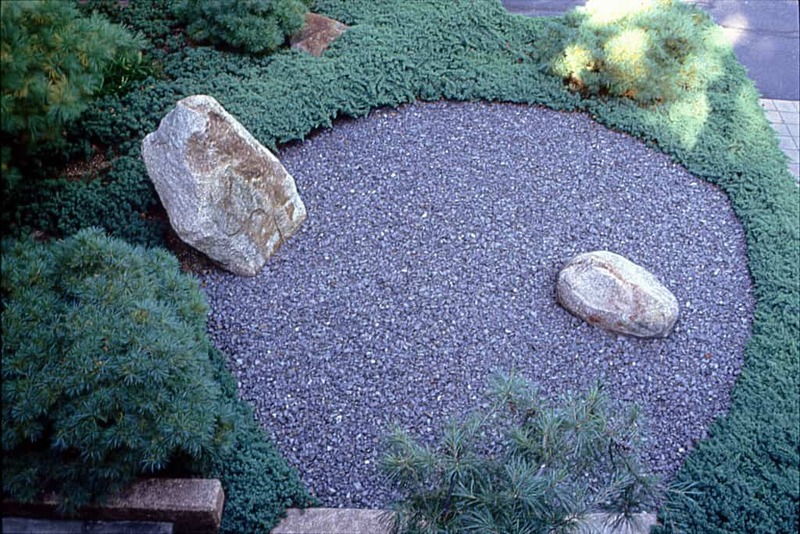 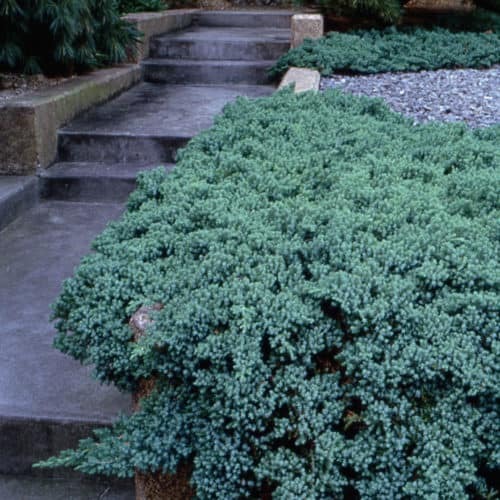 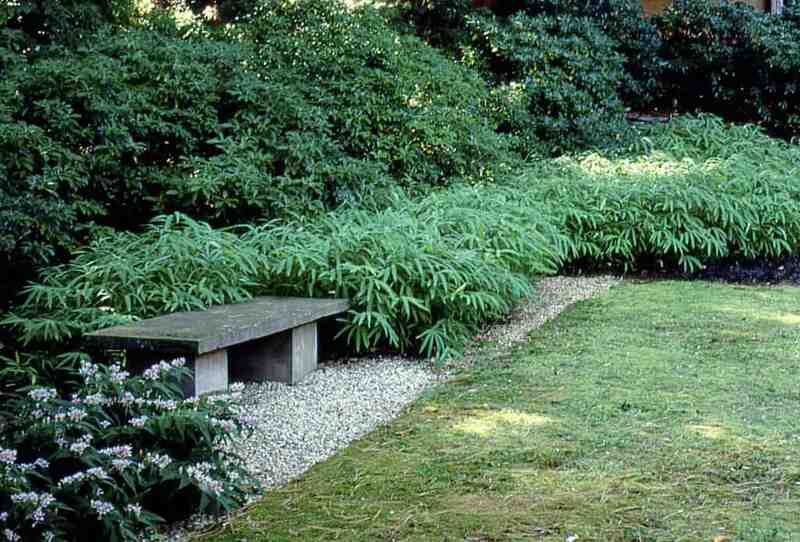 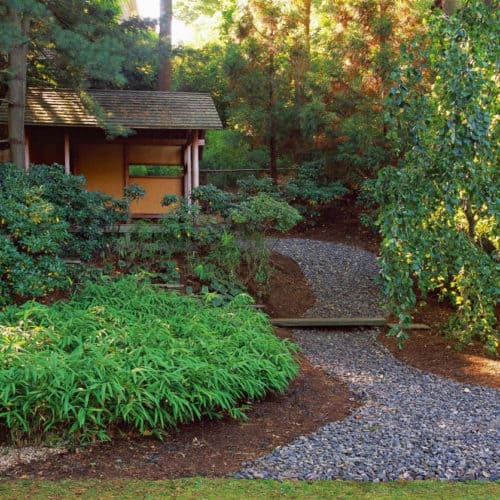 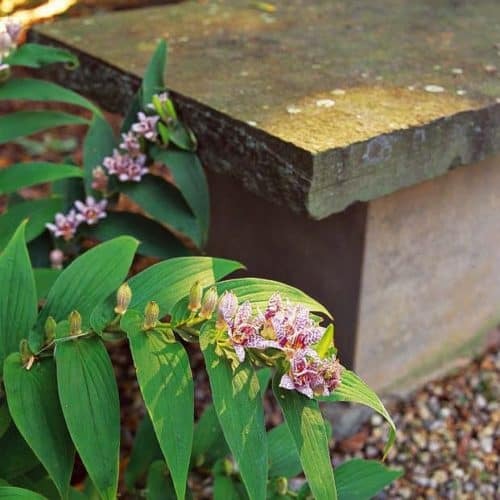 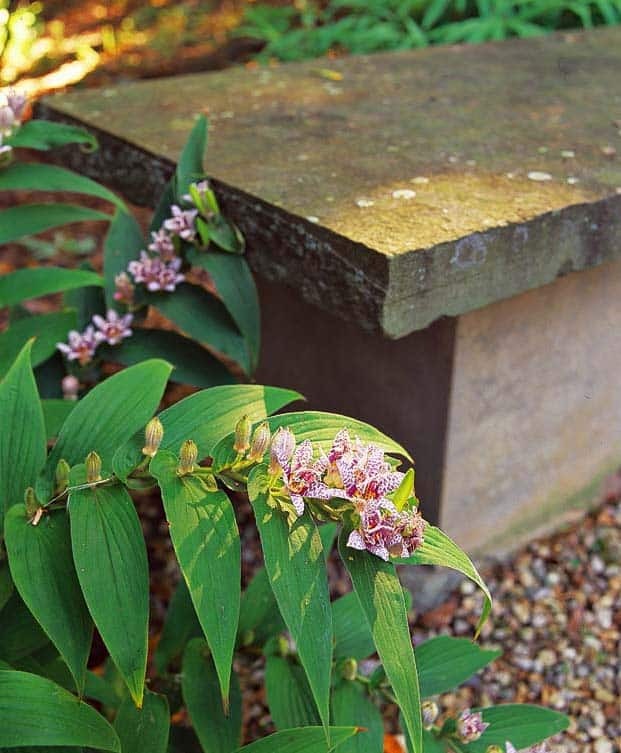 While Japanese in spirit, the garden is designed using distinctly un-Japanese forms: circles, squares, and S-curves.